To thrive in a competitive market, you need to have differentiated design to deliver better product quality and bring highly innovative products to market more quickly than competitors. OrCAD™ provides you production proven, scalable and robust PCB solution with broad ecosystem support to help you meet your product creation goal. The solutions are available as standalone products or in comprehensive suites. The suites provide a feature-rich, fully scalable solution that can be expanded and upgraded as design sophistication grows. Cadence® Allegro® PCB layout and routing technology offers a scalable, easy-to-use, constraint-driven PCB design solution for simple to complex PCBs, including those with RF etch components. It also includes innovative new auto-interactive technologies that efficiently and quickly accelerate routing of highly constrained high-speed interfaces. Cadence PCB design tools streamline the process for ECAD-MCAD collaboration using industry-standard EDMD (IDX) schema and design data hand-off to manufacturing through modern, industry-standard IPC-2581. 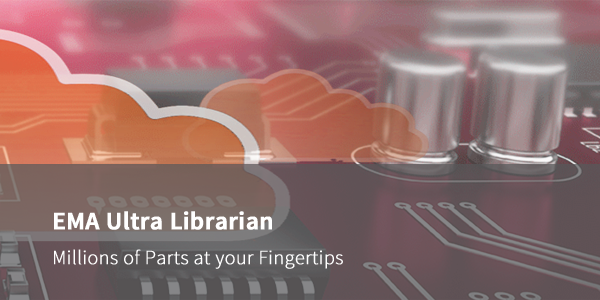 PCB Libraries is a lean and agile software company that offers unparalleled software for accurate, and amazingly efficient PCB library creation and management. It is an IPC Member, actively involved in development of the IPC-7351/7251 standards, and a member of the IPC-2581 Consortium. 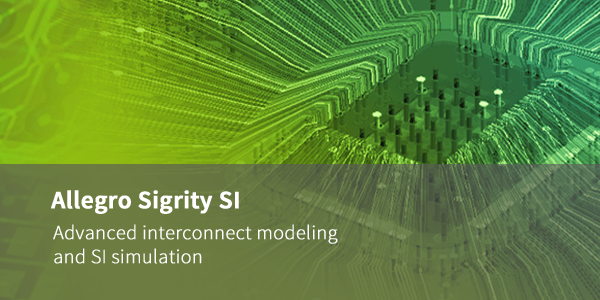 Cadence Allegro Sigrity® SI provides advanced interconnect modeling and signal integrity simulation in support of constraint development and electrical analysis of high-speed designs. Simulates high-speed signals at the package, board, or multi-board level. Integrated with Allegro PCB, editing, and routing technologies, Allegro SigrityTSI provides advanced signal integrity (SI) analysis both pre- and post-layout. Operating early in the design cycle allows for "what if" scenario exploration, sets more accurate design constraints, and reduces design iterations. OrCAD customers running older versions can trade-up to OrCAD 17.2 for a fraction of the standard cost. Take advantage of this offer to move up to the latest in PCB design technologies.